My female Irian Jaya has weight 580g and length ~1.25m and she is ~1.1 year old. Irian Jaya carpet pythons reach sexual maturity at 18 months to 3 years of age, at length of about 3 feet for males and 4.5 feet (1,3716m) for females. So I am guessing whether she has too heavy weight and she is too long for her age ? 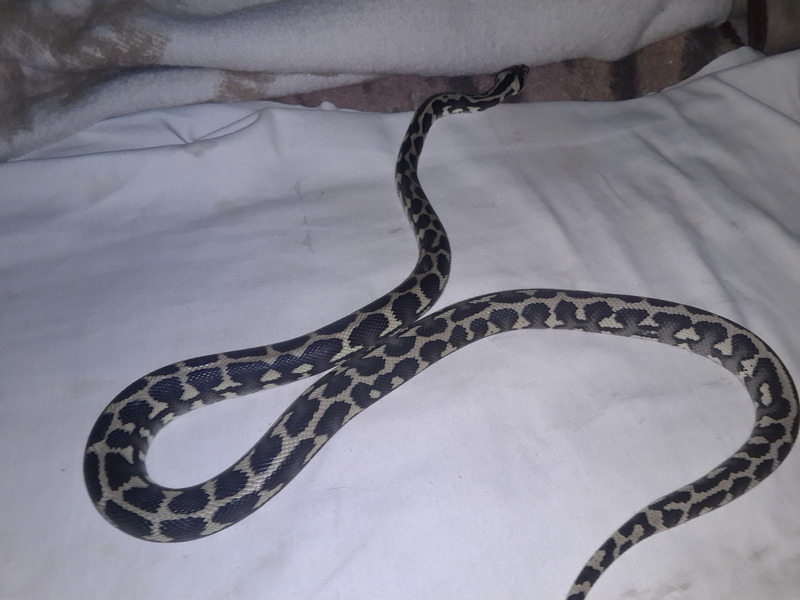 Well I have a thread with identifying my snake and may be I have irian jaya +cheney ? Your carpet seems to be doing fairly well Kazz. She's not too large or too small. As far as her genetics it's impossible to say with certainty what ssp or cross she might be. The best information you can get is from the breeder who should know and/or document the snake's lineage. All carpets are awesome to me. EL Ziggy, you said about snake's girth at PM so take a look please . To be fair I think she's a little fat ?! Perhaps she needs a diet ? Last edited by kazz; 08-08-18 at 03:22 AM.. The best information you can get is from the breeder who should know and/or document the snake's lineage. As I mentioned in the other thread, it looks like an IJ. looks fine to me, if not slightly heavy in the rear third, but that may just be poop left over from last meal. You can always slow down feedings if you are concerned. 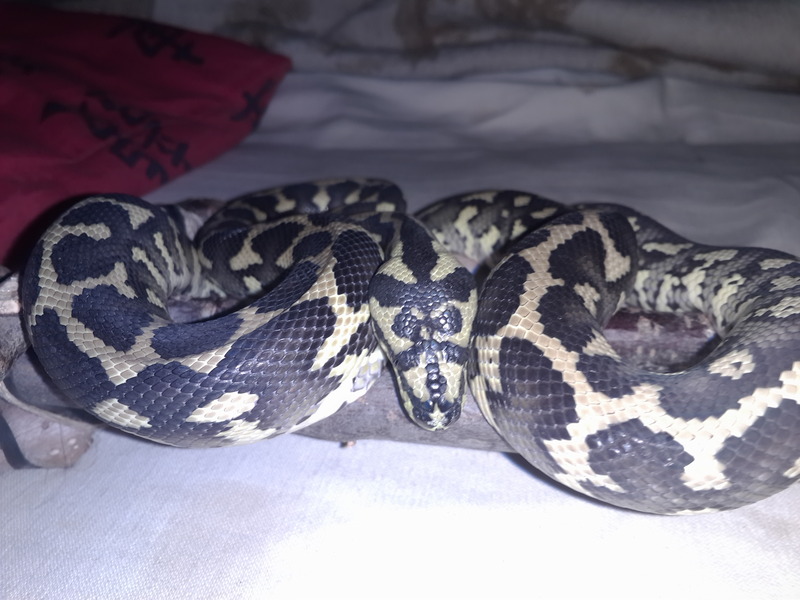 Breeding a snake of unknown background os nit favourable. It will also not help distinguish the bloodline or percentage mix of your snake, if any crossing has in fact happened in the past. All it will produce is more animals of relatively unknown lineage. Nothing inherently wrong with that, but I know the offspring wouldn't sell that well here because of that, maybe it is different there. She looks to be in good shape kazz. She doesn't appear to be overweight to me. I'd be feeding her a medium rat, or another equivalent sized prey item, every 10-14 days. Like Andy said, breeding her won't clarify her genetics. She should simply be considered an undocumented carpet python which is perfectly fine. Andy_G, EL Ziggy, thanks guys. What a lovely looking snake! Oh. Thanks a lot. I have got other beautiful shots.